Things are again getting messy in Europe with renewed concerns over what will become the 66th Italian government in the 73 years following World War II. We at Kapstream believe there was never going to be an election outcome that would be positive from a markets point of view. In some sense the emergence of a largely inexperienced ministerial team, promising unrealistic policy goals amidst a deteriorating budget, and promoting a €125 billion spending plan that is incompatible with EU fiscal rules was never the worst case for Italy. Attempting to impeach the president for treason because he wouldn’t approve a euro-sceptic finance minister, and the constitutional crisis this would have caused has at least been avoided (Italy’s constitution requires the president to provide final approval over government ministers). Southern Europe – and Italy in particular – has failed to remain competitive with Northern European countries following the advent of the Euro in 1999. The lack of structural reform in Italian labour and product markets combined with an inability to weaken the currency has led to low levels of economic growth (1.4 per cent), high unemployment (11.2 per cent), low inflation (1.1 per cent), a string of budget deficits (-2.3 per cent in 2017) and rising levels of public debt (130 per cent of GDP, the second highest in Europe behind Greece). Italian voters’ refusal to elect leaders willing to tackle these issues means there were never attractive options available. In the longer run we see only two solutions: 1) move out of the Euro, or 2) engage in tough fiscal austerity and reform. The third option of further European support, particularly through the European Central Bank (ECB), European Commission (EC) and International Monetary Fund (IMF), can’t last forever. German and Northern European support for Italy can only continue should Italy be agreeable to reform and deliver fiscal austerity, a message Italian voters have again refused to accept. Add disastrous management of public services, questions over banking solvency/bad loans and the massive wave of African/Middle Eastern immigration, and the problems facing Italy are significant. With these European issues in mind, our portfolio strategy had been to mainly avoid Europe, focusing on Australia, Asia and US markets which offered more attractive yields, better corporate profitability and enhanced growth opportunities. For the past year, our biggest divergence versus market consensus had been expectations for the end of the ECB’s €2.5 trillion quantitative easing (QE) program, currently at €30 billion/month and expected to end in September. Given the lack of structural reform in the south, an undercapitalised banking sector, extremely low inflation, weak growth and high unemployment in southern Europe, we believed the ECB’s QE program would last much longer than markets anticipated and couldn’t understand a belief in an end to the program. In our view, the ECB will continue QE for the foreseeable future and core European yields will remain near record lows for a very long time. The question remains of how long the ECB and official institutions will support Italy, given voter unwillingness to reform or engage in fiscal austerity. The ratings agencies could soon do the ECB’s job for them. Currently rated BBB/Baa (and on negative watch at Moody’s), a downgrade to BB means the ECB would no longer be able to buy Italian bonds. It is estimated the ECB currently owns 28 per cent of Italian government debt and this was expected to move toward 33 per cent by year end. With markets now perceiving an eventual end to the ECB’s support, Italian bond yields rose dramatically, along with the costs of credit default protection. Ten-year Italian government bond yields rose from 2.4 per cent to 3.2 per cent overnight, before falling back to 2.7 per cent more recently. And Italian yield spreads versus comparable German government bonds went from about 1.5 per cent to almost 3.0 per cent as spooked investors fled to the safety of Germany, causing a German bund rally. The costs of two-year Italian default protection rose from about 0.5 per cent per year to almost 2.5 per cent per year, before settling back at 1.5 per cent more recently. It is estimated that should Italian borrowing costs reach 5 per cent, debt repayment would be unsustainable given the current level of outstanding debt at 130 per cent of GDP. At that point Italy would probably require a bailout similar to Greece, although many multiples in size. Italy’s continuing problems and aversion to even minimal austerity created the right environment for the populist uprising we see today. Centrist Prime Minister Matteo Renzi took third place in March 2018’s election, signalling voter unease with the economic reforms initiated in his 2.5 year term, such as relaxation of labour laws (Jobs Act) and government reform whilst delivering little growth or prosperity to the nation. A common joke over the past few years, “Mussolini would have cleaned the streets by now”, partially explains the populist accession. A populist coalition signalled voter taste for change. Anti-establishment Movimento 5 Stelle (Five Star Movement) was founded by comedian Beppe Grillo in 2009. Like former prime minister Berlusconi (head of the Forza Italia party), Mr Grillo was barred from serving in Parliament due to a manslaughter conviction. Mr Berlusconi was expelled from Parliament due to a tax fraud conviction, but last month a court ruled him “rehabilitated” and able to return to his political career at the ripe age of 82. · increasing family welfare payments from 1.5 per cent to 2.5 per cent of GDP. Yet somehow the coalition announced it expected to cut the public debt by 40 per cent of GDP over the next 10 years, signalling to markets the delusion of Italy’s new leaders. Nonetheless, Italian voters have spoken, messaging their refusal to reform or rein in spending. It appears to us that Italy intends to rely on Europe to fund their excesses with the threat of a too-big-to-fail scenario if the money runs out. But this isn’t the first time voters have messaged their discontent towards austerity and reform, making us surprised at the market’s latest shock reaction. The results of the 2013 Italian elections largely sent the same message. Back then, caretaker prime minister Mario Monti, who led Italy with a group of technocrats from 2011 through 2013 in the wake of the last Italian debt crisis, attempted to initiate reforms and austerity measures. Mr Monti’s measures included increasing taxes combined with pension, labour and product reform. He even returned his personal government salary. He mandated the opening of competition in the taxi, pharmaceutical, medical and legal industries, abolished minimum tariffs and reformed licensing requirements. Pushback from labour unions and public protests meant these proposals would be put to the voters in the 2013 election. Mr Monti finished with a sad 10.5 per cent of the vote, signalling voter opposition with economic reform. In further irony, more than 50 per cent of the total 2013 vote went to parties with leaders unable to serve as ministers due to prior felony convictions (Forza Italia’s Berlusconi and Five Star’s Grillo). Even more recent history doesn’t suggest a positive outcome. The Five Star Movement’s early election successes consisted of gaining footholds in cities, through positions such as the Mayor of Rome, with the promise of ending corruption and delivering reform. Sacked by the Gauls in 387 BC, the Visigoths in 410, the Vandals in 455, the Ostrogoths in 546, the Normans in 1084 and the Nazis in 1943, Rome has been under threat for much of its existence. In more recent years, administrative incompetence, indifference and corruption have taken its toll. Visitors to Rome would notice graffiti, uncollected garbage, buses that don’t run and the never-ending series of labour disputes that regularly shut down the city. The RomaFaSchifo.com (Rome is Disgusting) website documents the recent deterioration. Five Star’s Mayor, Virginia Raggi, elected in 2016, vowed to clean up the city, end corruption, improve services and repair a crumbling infrastructure – a platform very similar to the current national ruling coalition. While she won with 67 per cent of votes, some two years later she currently has a disapproval rating at about the same level. But the mayoral bar wasn’t set very high, Rome’s prior two mayors were convicted of corruption and mafia association (although eventually cleared). Unsurprisingly, Ms Raggi is currently awaiting trial for corruption and lying to investigators about staff appointments. In the meantime, trash still fills the city’s streets while a new phenomenon of burning buses has been added to the city’s woes. Ten buses have been burnt so far this year and 20 in 2017, which is attributed to an ageing fleet and poor maintenance. And the buses can’t run in the snow because the city had overlooked funding for all weather tyres. It didn’t help Ms Raggi’s reputation that she was in Mexico at the time of the city’s first snowfall. Ms Raggi attempted to introduce sheep and goats to maintain parks and gardens. But a solution to the pothole problem came through reducing the speed limit rather than fixing the potholes. Last week, the Giro d’Italia, cycling’s second largest race, was controversially cut short after organisers decided to end the race early due to “unsuitable” racing conditions on Rome’s street due to potholes (supposedly the city had spent €500,000 fixing course potholes before the race). 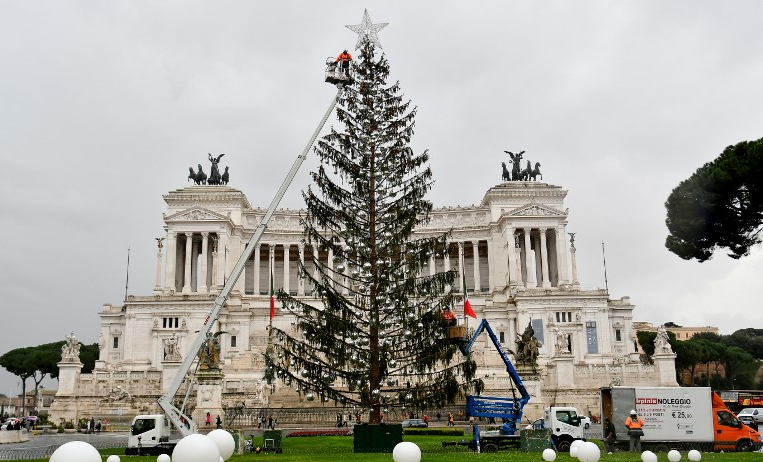 But perhaps the biggest symbol in the mismanagement of Rome was the 2017 72-foot Christmas tree in Piazza Venezia, nicknamed “Spelacchio” or “Mangy” or “Baldy” due to the lack of needles which was described as “a shameful spectacle for citizens and tourists.” A subsequent investigation revealed the tree cost the city €48,000. So much for reform. Spelacchio has his own Twitter page now. The Populist party Syriza rose to power in Greece in 2015 amidst the 3rd Greek debt crisis. Their platform included anti-austerity, anti-pension and anti-social security reform as well as “reviewing” the role of Greece in the European Union. Given the mandate approved by voters, they rejected terms of the third EU bailout, viewing the austerity measures as too severe. In a subsequent referendum seeking voter approval of the bailout proposed by EU regulators, Greek voters again rejected the European bailout terms by a 61 per cent to 39 per cent margin. However, when faced with a harsh EU response and a likely sovereign default, Greece capitulated, reaching an agreement on the third bailout with largely unchanged terms (public wage reform, primary budget surpluses, improved tax collection, opening competition and pension reform). Italy’s current situation appears to contain many parallels to Greece in terms of deteriorating fiscal fundamentals, a lack of economic reform, banking system stresses and the continuing need for European support. So far, Italian voters have acted exactly like Greek voters, choosing populist parties in order to avoid the tough road ahead. But lowering the speed limit instead of fixing the pothole only allows the pothole to eventually get bigger. At some point there will only be very bad options – sovereign default versus reform and austerity. Like Greece, we expect Italy to eventually choose the least worst option: reform and austerity (and then ‘kick the can down the road’ as far as possible while saying the right things, then doing as little as possible). It is likely this murky situation continues through 2019 and market volatility will remain high. From an investment standpoint, we believe there is little value in Italy and southern Europe relative to the risks investors are forced to take and thus will avoid the region for the foreseeable future. From Kapstream’s point of view, investors trying to profit from rising Italian yields will eventually have no one to blame but themselves. 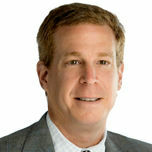 Steve Goldman is managing director and portfolio manager at Kapstream Capital.